Relaxing in my Serac Sequoia at camp on the second day. When friends suggested heading to West Virginia for a backpacking trip over Independence Day weekend, I was dubious. Heading south in July seemed insane. 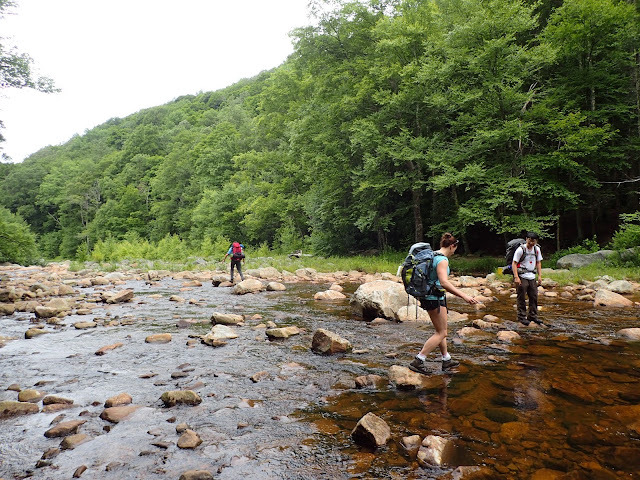 But with terrain ranging from 2,600 to 4,100 feet above sea level, the Dolly Sods Wilderness is temperate, even in the middle of the summer. The climate is more similar to parts of Canada than neighboring states; setting sights in a southerly direction could actually result in a reprieve from the heat. 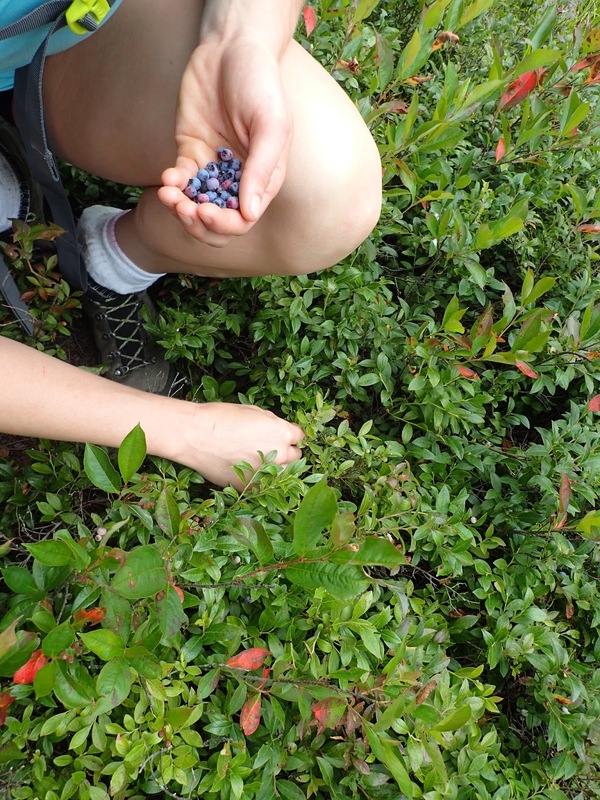 I also learned there are wild blueberries all over Dolly Sods. And it looks like this. I was sold. The high altitude plateau sits within the Monogahela National Forest and gets its name from a combination of the name "Dahle" and "sods," a local term for an open mountaintop meadow. Some of the terrain we hiked was once covered by dense forests, but the arrival of a nearby railway in the late 1800s brought logging to the area. Post-clear cut forest fires decimated the land, and during World War II, the US Army used the area for artillery and mortar maneuver practice. 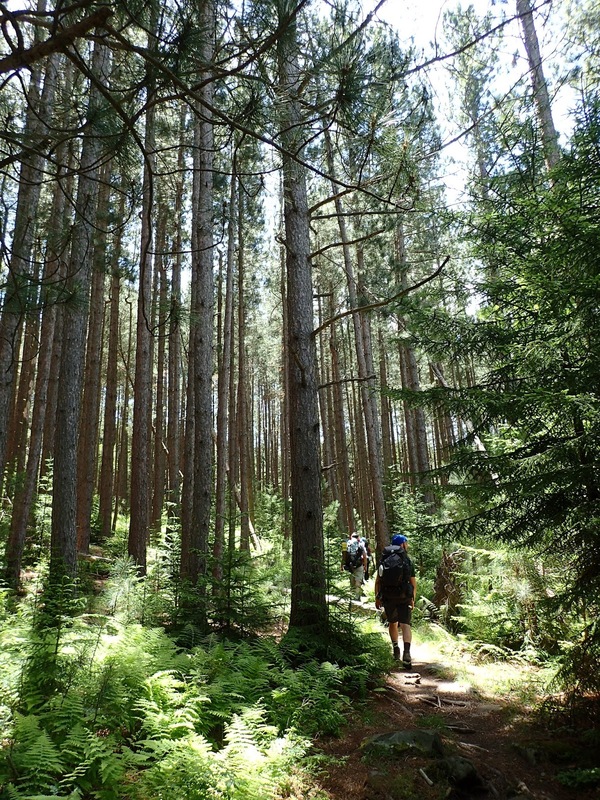 The Nature Conservancy worked hard to preserve the area, along with other groups, and by 1993, the majority of the land belonged to the forest service. 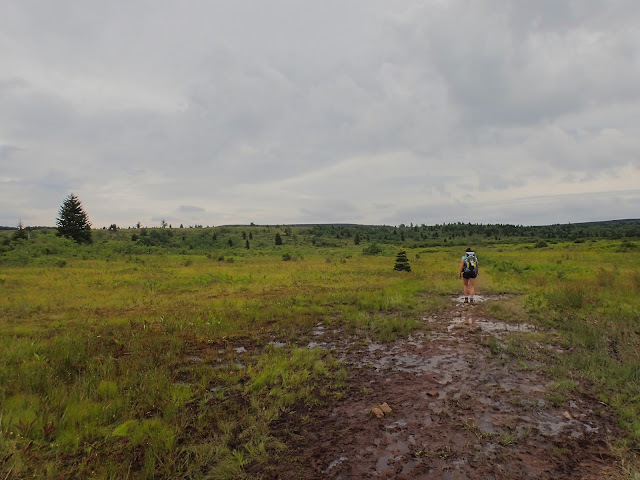 The Dolly Sods we know today is home to 47 miles of hiking trails, and our goal was to complete a 23-mile circumnavigation of sorts, seeing as many different types of terrain as we could in two and a half days. Our plan was to park at the Bear Rocks trailhead and cover between six and nine leisurely miles each day, camping at established sites along the way. We parked at the Bear Rocks trailhead around 3pm on our first day and headed out with plenty of daylight to make it to our chosen destination - any available established campsite along the western half of the Dobbin Grade trail. I didn't know it at the time, but this would be my favorite portion of our hike. It's pretty obvious which direction the wind blows, that's for sure! After dropping down on to the plateau along the Bear Rocks trail, I could see what felt like miles of open, hilly grassland dotted with the occasional tree. The Bear Rocks trail rolled gently up and down the meadows, and it was easy to move quickly. Wooden walkways helped us cross boggy sections when we found them, and we climbed a bit, then descended a bit before arriving at the Raven Ridge trail 2.4 miles later. After a mile and a half or so on the Raven Ridge trail, we turned left on to the Rocky Ridge trail, and that's where the terrain started to look really, really cool. 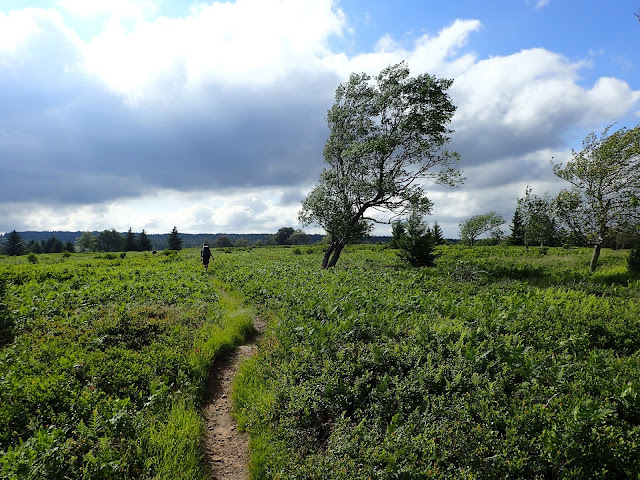 Between the sweeping vistas, fast-moving clouds, wind swept rock formations, mountain laurel, and other tundra-like plants, I was absolutely enamored with this section of the trail. We took our time exploring, rock-hopping, and taking in the view. Small rock cairns guided us along the way, and 1.5 miles later, we turned right on to the Dobbin Grade trail to start looking for a suitable campsite. It took us a bit to find an established site that wasn't already occupied, and though we weren't out of earshot of our neighbors, it was a peaceful night and a perfect first day. We set up right along the left fork of the Red Creek, watched fireflies by the fire, and turned in early. I brought a hammock with me on our trip, the Serac Sequoia, and had every intention of trying hammock camping. But with rain expected, I chickened out. Regardless, it was a welcomed addition to our setup the next morning. As sat swaying gently, sipping my Starbucks Via, I thought, man, this thing is coming with me on every backpacking trip from now on. to dense forests in a matter of hours! Our second day started with a hike back up the Dobbin Grade trail to the Rocky Ridge trail, which we followed south for about 1.5 miles. This section of the plateau looked quite different from the day before; fewer windswept boulders and more grassy meadows, open air, short, bushy trees, and eventually, dense forest. The wooded areas we found along the southern part of the Rocky Ridge trail and the Big Stonecoal trail were reminiscent of home. 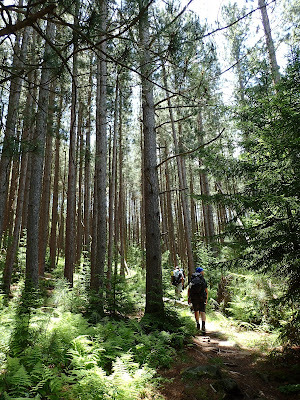 We followed the Big Stonecoal trail for all of its 4.3 miles, passed through large stands of rhododendron and tall pine trees, and managed a few short water crossings. It was wonderful to hear the sound of rushing water as the Big Stonecoal trail followed Stonecoal Run to the Red Creek. We started scouting campsites along the Red Creek trail and quickly found a perfect spot. It was out of earshot of the trail, close to the water, and big enough for two tents and two hammocks. Camp was set up by 3:30pm and with five hours until sunset, we had plenty of time to explore. I spent post-wandering time chowing down on Mountain Beef Stew from Paleo Meals to Go (so good! ), drinking a bit too much Barr Hill Gin, and thanking Mother Nature for such incredible weather. I woke late, feeling the gin from the night before, and not particularly eager to get up. But we had to be back in Philadelphia that night, and with nine miles and nearly 1500' of elevation gain ahead of us, plus a six hour drive, we broke camp and left by 10am. The first half our mileage covered the majority of the Red Creek trail, heading northeast. The terrain was hilly, rocky, and covered with dense foliage. We crossed two small tributaries before eventually crossing Red Creek itself. A large hiking party warned us they hadn't seen anyone make it across without slipping, which the majority of us took as a challenge. After crossing Red Creek, the trail steepened, then leveled off, and eventually, we came to a T-intersection with the Blackbird Knob trail. We turned right to follow it, then after .4 miles, we turned left to follow the Upper Red Creek trail. After 1.5 miles, we turned right again to follow the eastern section the Dobbin Grade trail back up to Bear Rocks, and so began the muddiest, messiest hiking I've ever done. As the terrain leveled off, we started traversing a giant bog with a handful of moderately dry patches. One wrong step meant sinking calf deep into mud, which happened to each of us at least once. Though I'm not normally phased by a bit of mud, my favorite boots started wearing on my feet in places they'd never caused pain before, and after the third time I sunk in to sticky, wet, boggy gunk, I started smelling the barn in a big way and yearning for the flip flops I'd left in the trunk of our car. Just over 1.5 miles later, we came to a junction with the Bear Rocks trail, and as we backtracked along the route we'd taken to start the trip two days earlier, it started to rain. It was tough to be annoyed by the light drizzle, given we'd had near perfect weather the entire weekend. And when we got back to the car, my flip flops felt as glorious on my feet as I'd expected they would. These went in to blueberry muffins when we got home! Looking to visit Dolly Sods? Keep these things in mind, and take a look at our entire route. We didn't buy a map and instead printed copies of this one to take with us. It's the best I've found. There are plenty of established campsites along the trails, some quite large and secluded. Camp in established sites and do your best not to alter the site; it's a popular area, and Leave No Trace principles are important. The trails aren't blazed. Keep your eyes out for signage at every intersection to make sure you don't take a wrong turn; the signage on the trails we took was obvious. We arrived on a Thursday afternoon and there was plenty of parking, but by the time we found our way out on Sunday, the parking lot was overflowing. Plan accordingly! 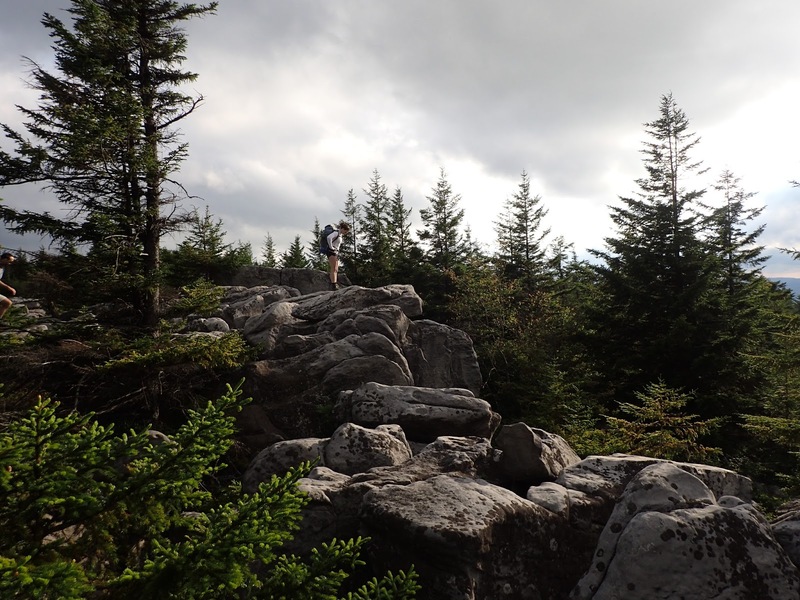 Dolly Sods is high above all neighboring terrain, and as a result, weather can change quickly. Waterproof hiking boots are a must. Parts of our route were muddy. It hadn't rained significantly in a few days when we arrived, but evidence of extremely wet conditions were everywhere. I sunk into mud halfway up my calves along the eastern portion of the eastern portion of the Dobbin Grade trail more than once. What's the wettest, or dirtiest, you've ever gotten on a trip, and where did you go? 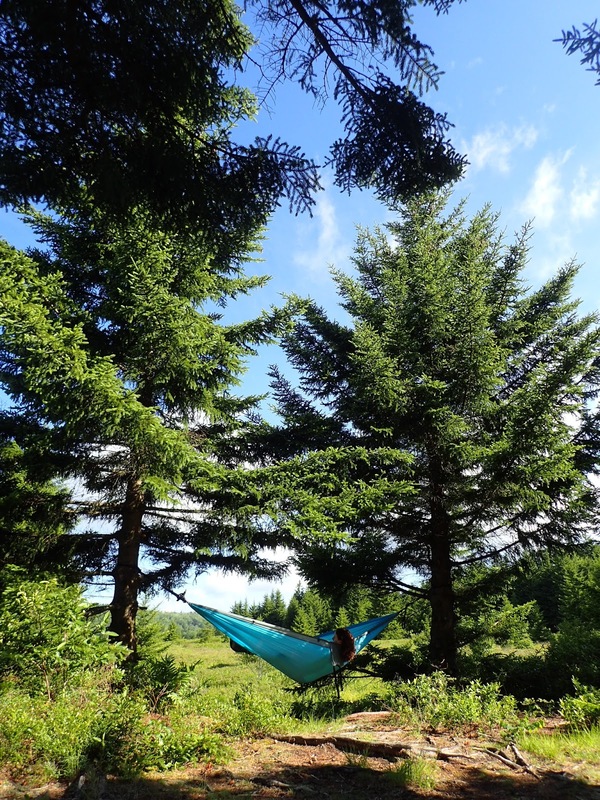 Have you been to Dolly Sods? If so, what trails did you visit? We'd love to hear from you!